Wellington, NZ – Hundreds of people gathered in front of the Governor-General’s residence in Wellington today to present a petition asking him not to sign off on the Trans-Pacific Partnership. It was one of numerous anti-TPP protests around the country leading up to the official signing of the controversial trade pact at SkyCity in Auckland on February 4. Organiser Greg Rzesniowiecki said people from various industries held placards at the entrance to Government House making statements such as “Support local, not global” and “Protect our freedoms”. He said the Governor-General’s secretary, Gregory Baughen, accepted the petition, which was signed by more than 4500 people. It was a moving handover, Mr Rzesniowiecki said. Youngsters hongied Mr Baughen as they passed over the petition, while a member of the crowd read out its contents. 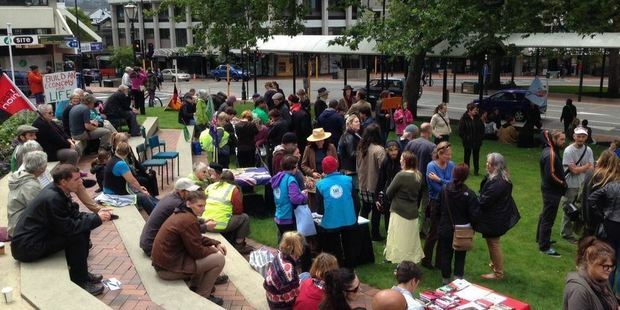 The group were to finish their protest with a “Great New Zealand Sell-off” display outside Parliament. 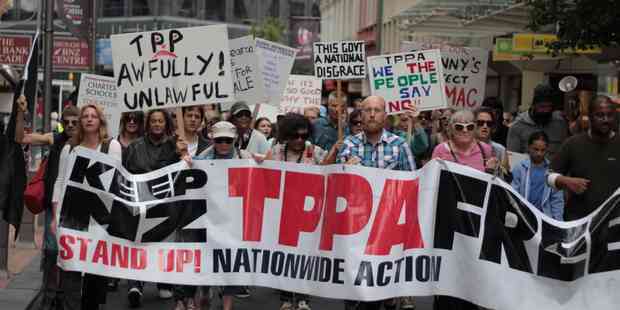 Anti-TPP protests were also to be held in Rotorua, New Plymouth, Nelson, Christchurch and Dunedin today. 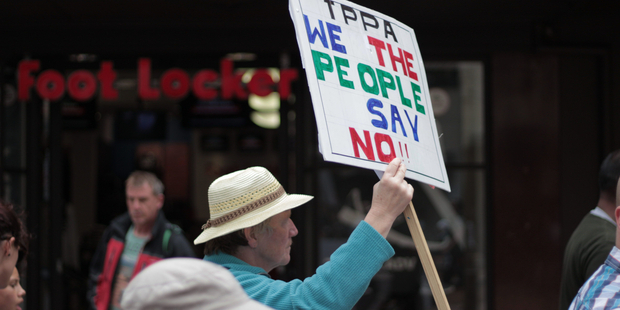 In Dunedin’s Octagon, about 250 protesters declared the area a TPP-free zone. Organiser Jen Olsen said Dunedin should follow suit and become the first city to declare itself TPP-free. The Octagon decision followed a move by the Waiheke Local Board in Auckland on Thursday to vote for the island and the Hauraki Gulf to become such a zone. The Octagon crowd heard from Labour MPs David Clark and Clare Curran, the first time the pair have spoken publicly since Labour declared itself opposed to the trade pact after years of uncertainty over where it stood. Dr Clark said it had been a “hell of a ride” since he took on the trade portfolio last month. The party had taken a “principled stance, not a populist stance” to the TPP, which breached New Zealand’s sovereignty, he said. New Zealand relied on trade, but not at any price. Green Party co-leader Metiria Turei received the warmest response from the crowd, especially when she declared that the TPP would bring down the National Government. She said she had been heartened by the anti-TPP speaking tour featuring United States trade expert Lori Wallach, who has been telling crowds in New Zealand about the lack of support for the trade deal on both sides of the political divide in the United States. Anti-TPP demonstrations are expected to continue tonight, with car enthusiasts planning airport-to-CBD protest convoys in Whangarei, Auckland, Hamilton, Tauranga, Palmerston North, Wellington and Christchurch from 10pm. In the Super City, councillor Cameron Brewer says the council has told its staff to stay away from the office and instead work from home on Thursday because of the likelihood of major protests at SkyCity, next door to the council headquarters. “Council meetings have been cancelled and councillors are being sent 25km south to the Manukau Civic Centre that day,” Mr Brewer said. “I’m surprised ratepayers are now being asked to fund us and many staff to relocate for the day. 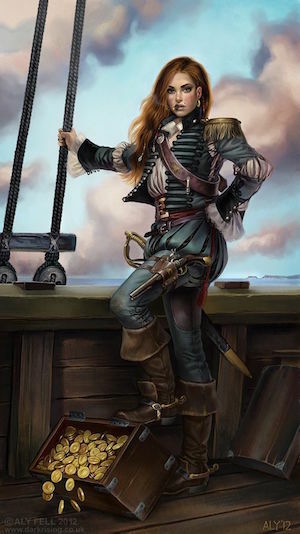 We should be staying put, not running away. How pathetic is that. “Rest assured council’s overly dramatic relocation for the day will cost hundreds of thousands of ratepayers’ dollars and won’t make one bit of difference. 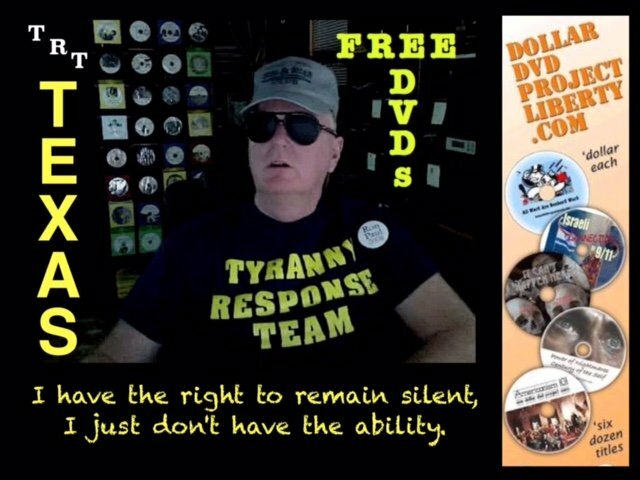 The protesters are not after us, so why are we fleeing? In a statement, council chief operating officer Dean Kimpton said: “We view this day as a normal work day for staff. However, with more than 3000 people working in the CBD, we want to help ensure minimal disruption to working on this day and use our mobile workforce and workplace strategy to help ease pressure on transport systems, car parking and pedestrian routes. “As a result, an annual plan [budget] workshop involving a number of councillors and staff has been moved from the central city to the Manukau Civic Building,” he said. An Auckland Council spokeswoman said CBD-based staff had been advised that they might want to consider working at another location or from home on Thursday, which most have the ability to do. Cabinet minister Nikki Kaye’s electorate office in the central Auckland suburb of Freemans Bay has been tagged in a protest against the trade pact. Graffiti declaring, “NO TPP yes I voted”, has been spray-painted onto the front of the building.